Whether you’re moving into a new home or just need some extra storage space, now there’s a better place to put the things you care about. Our family knows how to protect your families’ belongings. We designed and created the only portable storage and moving container with smooth walls, unique tie-down rings, waterproof design and heavy-duty security latch to protect your most prized possessions. Moving? 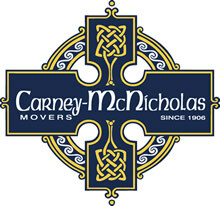 We can deliver a container to your home where you load the moving container at your own pace. Just let us know when you’re done, and we’ll deliver the container to your new home. Need a temporary storage solution? We will deliver a unit for you to keep at your residence and then pick it up when you no longer need it. For longer-term storage, we will come get the container after you have finished loading and keep it at one of our safe, secure warehouses. For more information on our Go-Mini portable storage containers, contact us online or call Dennis Cleland 330-792-5460.